Technology makes our lives better… until it doesn’t. Sometimes I look at my email inbox in the morning and just want to crawl back into bed. 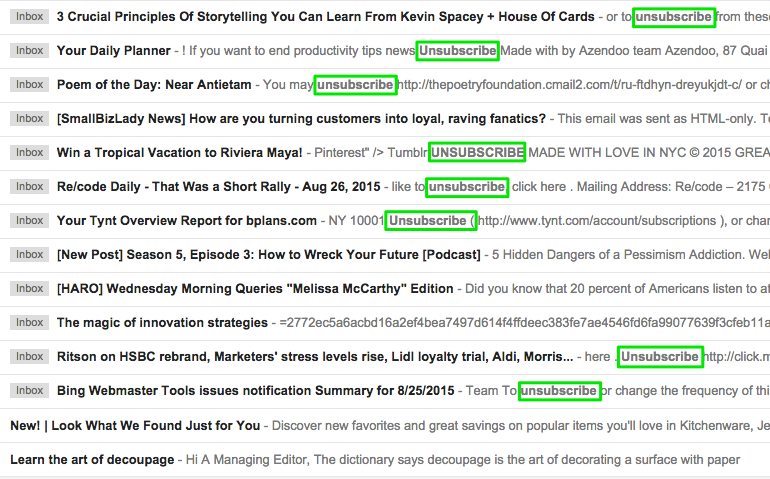 If you struggle to get your email inbox to that zen place where it says “zero unread messages,” you’re not alone. Here are nine tips you can use to become one with your email. You don’t even have to fold your legs into the lotus position first. Messages that only require a quick flick of the “delete” key also include newsletters you know you’re not going to read and acknowledgement messages (those where the sender gives you a quick “Thanks!” or “Will do” to acknowledge that they received your message). Most email programs have a “preview” mode so you can see the first few words in a message without actually having to open it. Are you one of those people who reads every email as soon as your computer notifies you it’s arrived? That can seriously impede your overall productivity. Instead, look at your email once an hour or even a couple of times every day. Outlook allows you to set the frequency at which it checks for new messages. If you use an online email service, like Google or Yahoo, shut down the program when you really need to concentrate. Turn off any email notifications on your smartphone too. Or, give a productivity tool a try. 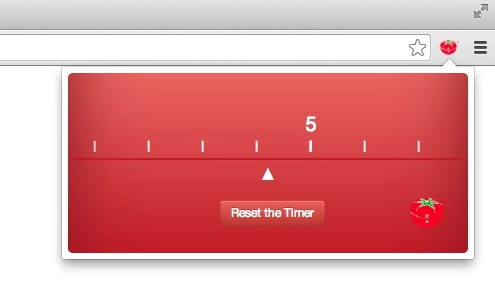 If you use Google Chrome or Firefox, there are a number of time-management tools you can add to your browser. The Simple Pomodoro® will help you accomplish more if you work best when you know the clock is ticking. Give yourself a set amount of time in which to check your emails and once the timer is up, stop! Once you start checking emails at dedicated intervals, you’ll actually have time to respond to people and do what they’re asking you to do. Respond to requests for meetings and files immediately. Add longer projects to your to-do list (and let the sender know that’s what you’re doing). Some emails you need to keep, others you don’t. Once you’ve garnered all the information you need for a particular message, delete it so you don’t review it a second time. Folders can be a great way to keep emails organized. Instruct your email program to automatically send certain messages to their appropriate folder. For example, you can have the program send all emails from your boss to the “urgent” folder. Messages from colleagues who don’t require an immediate response can be reviewed when you have the time. Folders can also be a great tool for keeping your inbox clean after you’ve read them. Put all emails related to different projects in their own folders. Not only will that get them out of your inbox, you’ll have an easier time finding them when you need to. I have a tendency to re-read every single email at the end of the day to make sure I’ve followed up on everything. My husband uses the “mark unread” feature to remind himself of which emails he needs to return to. Guess who isn’t still skimming through their emails at 9:00pm? This advice may seem counterintuitive because it bumps up the number of unread messages you have. But at least you know which messages still require a response and which are in your inbox for information purposes only. If having unread emails sends your blood pressure through the roof, use tools like “star” or “flag.” They note messages you need to deal with but sidestep the whole unread messages problem. It’s the blessing and the curse of smartphones—you can work all the time. When it’s appropriate, make your smartphone a blessing. Catch up on emails when you’re killing time at the doctor’s office, in line at the grocery store, waiting to pick your child up from school or ignoring the advertisements they run before movies. Using those few minutes here and there to catch up on the easy-to-deal-with emails (and then delete them) will help you feel more zen when you get back to your office. In the interest of public safety and your family’s zen, please don’t use your smartphone to catch up on email when you’re driving, crossing the street, at your child’s soccer game, watching that movie, or in bed with your partner or spouse (unless your partner or spouse is doing the same thing). Some social media services, CRMs and other software programs send you email notifications constantly. Do you really need an email every time your mom posts a picture of her cat? If the answer is no, get into the software program and turn off those notifications. Now isn’t that an easy way to figure out what is actually junk? In some cases there may be a better, faster way to communicate with people. Do the old-fashioned thing and pick up the phone the next time you need to schedule a meeting. Use instant messaging or an online chat room to converse with team members rather than emailing back and forth. The LivePlan team uses HipChat and in some cases Slack if they need to get in touch with someone fast. The basic rule of thumb is: If you wait for an answer, send an email. If you need an immediate response, get on HipChat. Again, social media can be a great alternative to email for keeping up with colleagues and finding information. Rather than subscribing to email newsletters for competitors or companies that interest you, set aside 10 minutes a day to look at their Facebook and Twitter accounts.